CnetSDK .NET PDF to Image Converter SDK is a stand-alone PDF converter library for .NET/C#/VB.NET/ASP.NET applications development. It is widely used to render and convert PDF to images like JPEG/JPG, Multi-page TIFF/TIF, PNG, etc. With simple PDF converter library integration into Visual Studio .NET windows or web project, you can use all mature PDF to image conversion features for .NET applications development. No other .NET assemblies or PDF readers are required. All images converted from PDF document will be with high quality. CnetSDK .NET PDF Converter for Images is a complete PDF to image conversion solution. No need to install any other Adobe or PDF readers to your .NET applications (C# or VB.NET), like windows and ASP.NET web applications, you can easily render and convert PDF document to common image file formats. This .NET PDF to Image Converter SDK allows you to load source PDF document from a local PDF file on disk or memory stream in your application. By using advanced .NET methods, you can load PDF document to your .NET programs in a blink. In your .NET application, you can define how to convert and export your PDF file. CnetSDK PDF to image converter library for .NET supports common raster image file formats for your choice, which are JPEG/JPG, TIFF, PNG, GIF, and BMP. Besides converting PDF to single page TIFF image in your .NET projects, our .NET PDF converter library DLL enables you to render and convert PDF document to a multiple page TIFF image file with the same page count. CnetSDK .NET PDF to Image Converter SDK provides .NET APIs to implement whole PDF conversion and special pages conversion. Your loaded PDF file pages can be all converted to raster images. Also, you can define a range of pages to convert. Do you want to improve display quality for images converted from PDF document? If yes, our .NET PDF converter library dll can help with it. In VS .NET project, you can easily customize image DPI and set output image size (image width and height). Please firstly download CnetSDK .NET PDF to Image Converter SDK online. And it's quite simple to integrate our .NET PDF converter library into your VS projects. Please see online guide for .NET PDF converter library integration & .NET APIs for PDF to image converting. Please note that we also provide a demo project in the free trial package for your quick reference and evaluation. If you need C# & VB.NET sample codes for PDF to image converting & rendering, you may also see the following tutorials. Three license types are provided for you to choose from, namely One Server License ($899), Group Server license ($1,499), Unlimited Server License ($2,599). Each of which permits the unlimited developer to use (copies of) CnetSDK .NET PDF to Image Converter SDK to develop the unlimited number of derived works that can be deployed to 1, 2 to 8, or unlimited server(s) respectively. Please note, if your derived work is a single-user client application, the Group Servers License is required. And it grants you to use CnetSDK Software to develop and install unlimited (copies of) single-user client application to unlimited client desktop PC's. You may see more licensing details or make an order now. CnetSDK .net pdf converter free trial allows you to integrate advanced pdf conversion features in your pdf to image .net applications. 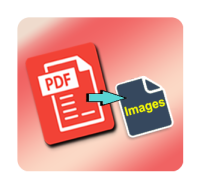 You can have full control on pdf to image size, with high pdf to image quality. CnetSDK .NET PDF to Image SDK also be searched by our users using pdf convert to image software, .net convert pdf to image component, pdf convert to jpg image file, pdf converter jpg library, pdf convert to image online trial, transform pdf to jpg, transform pdf to image, and more.